My family and I were on vacation in California this last week. We spent the first couple days in Ventura, CA hanging out on the beach. Then we spent a couple days with our oldest daughter, Tia, at her new apartment in San Francisco. We drove to Chico for Thanksgiving and the last couple days of our trip before heading back home. 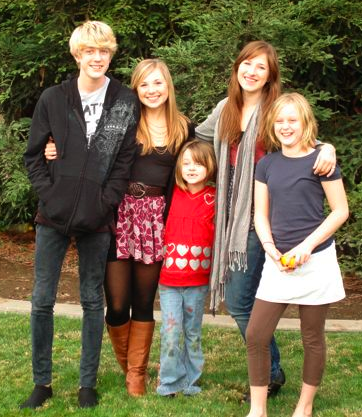 Thanksgiving was a lot of fun because it was the first time in the past year that all 5 of our kids were with us. We enjoyed time with Pam’s parents, my Grandma and some great friends. It was an awesome trip. While I was away, Luis Acosta and Jay Murphy led worship for our weekend services. I’m thankful for these guys and their willingness to jump in and help out when I’m not here.